Marketing your mobile home for sale in Austin is different than marketing a single-family home. Learn more about the differences in our latest post! If you are thinking about selling your mobile home in the Austin area. It is important to learn about the different selling and marketing strategies that will work best for your particular property. Keep reading to learn a bit about the different ways you can sell, and the marketing methods that will be the most effective. Before you explore the different ways to market a mobile home in Austin, you should learn about the different ways to sell. You might think that you need to call an agent and jump through all the same hoops people selling single-family homes face, however, this isn’t the case. Of course, you can list your house, but you will have a much smaller market and will have to deal with costs both upfront and after the property closes. You might even find yourself stuck with an agent who isn’t trying as hard to sell your mobile home as you’d like them too. For many agents, mobile homes are out of their wheelhouse, plus, their commission will usually be less, reducing their motivation to help you sell fast. Another option for selling your mobile home in Austin, would be to work with a direct buyer. This will eliminate any need to market the property or have to worry about costs before or after the sale. Texas Direct Home Buyers buys mobile homes directly, which will eliminate the need for marketing, helping you to keep more cash in your pocket. If you do choose to try your luck with an FSBO listing, you’ll want to employ some strong marketing techniques. Your marketing strategy will be different for a mobile home than they would be for a traditional rental. The market of interested buyers is going to be much smaller, so it can often pay to use some out of the box marketing strategies to make your property stand out. Giving the property tremendous curb appeal and doing things to make the property stand out from others on the block can help you sell your mobile home more quickly in the Austin area. When marketing your Austin mobile home, you’ll need to be able to get it in front of the right people at the right time. Take a look at recently purchased homes in the area using Zillow. Who is buying? What are they paying? Utilize any information you gather to market to the right audience. 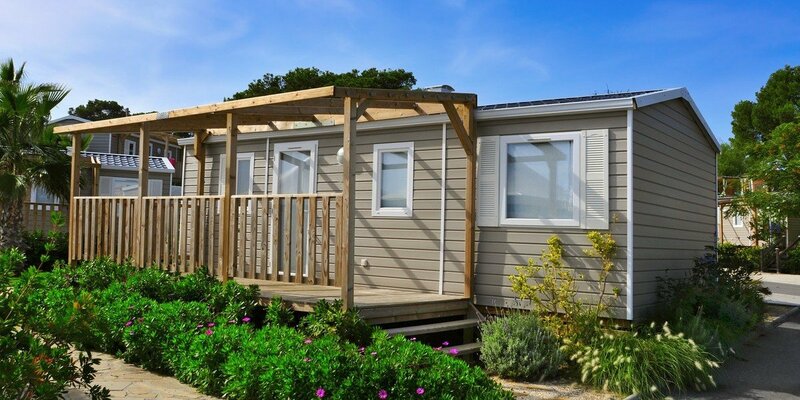 Once you’ve taken a look at the different options for marketing your mobile home for sale in Austin, you’ll want to choose the options that make the most sense financially. Online ads can get pretty expensive, so you will want to ensure you are advertising on the sites that get the most traffic. You might want to consider investing in premium ads to make sure your property is seen by the most potential buyers, however, these ads are even more expensive. You’ll need to pay for professional signage, for the outside of your property so it can be seen by passersby and make finding the home easier for prospective buyers. You’ll also need print materials such as flyers to pass out providing the property specifications. Many mobile home owners will also throw an open house to allow people the chance to come by and see the property without having to schedule a showing. You will likely encounter costs for this as well. When the time comes to sell your mobile home in Austin, it is important to know how to sell for the best price, in the least amount of time. The fastest way to sell your Austin mobile won’t cost you a dime, nor will you have to make any repairs to the property. Selling your house to a professional buyer such as the team at Texas Direct Home Buyers, will allow you to sell quickly, get a great price, and be able to move on without being burdened by repairs. To learn more about marketing your mobile home for sale in Austin, please give our team a call!